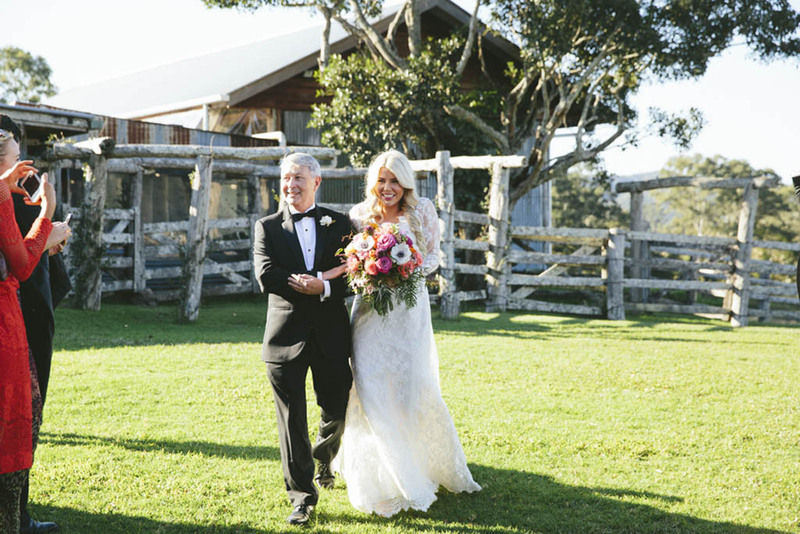 One of the most favourite parts of my job is getting to know my clients, and for this particular Sunshine Coast wedding I had the absolute pleasure working with gorgeous Alana and her handsome beau Chris, the beautiful couple celebrated with family and friends at the magnificent rural property Yandina Station. 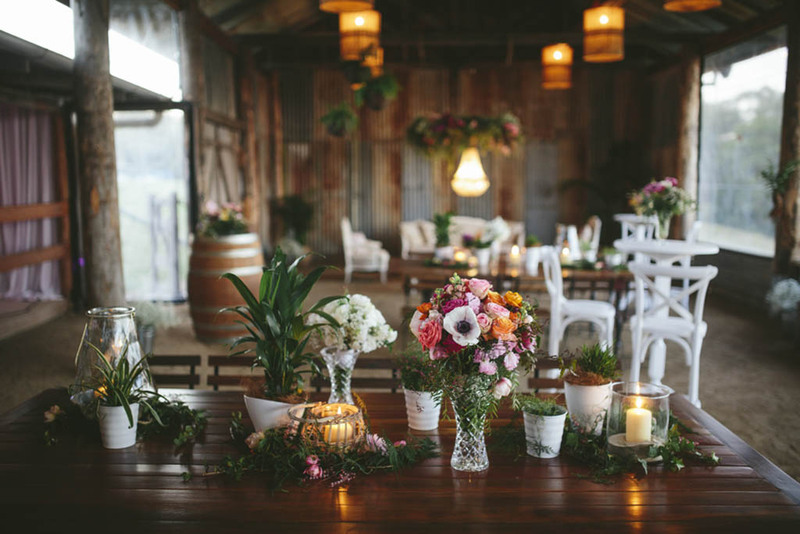 Together with Love Bird Weddings we created a natural inspired wedding concept highlighting touches of elegant Bohemian styling which also featured eclectic blooms and a stunning hanging floral installation that was accented by a gorgeous antique chandelier. 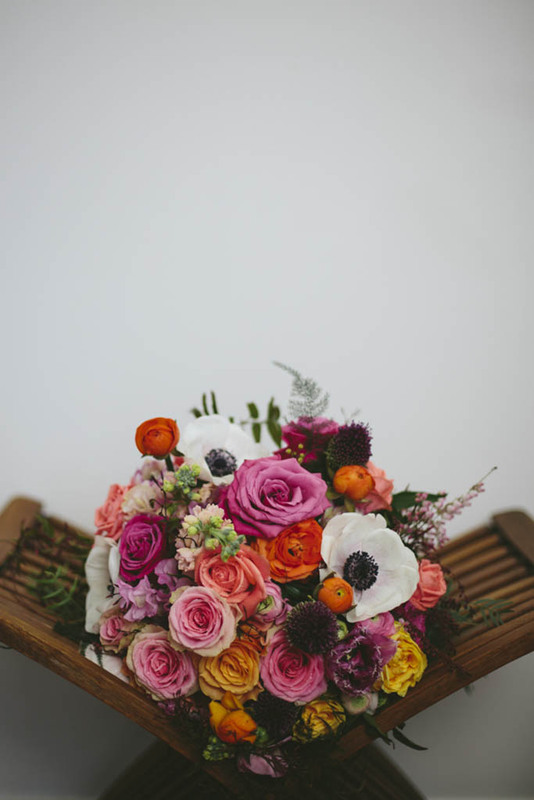 Alana was a dream to work with, I so enjoyed our meetings and being apart of her and Chris’s unique day, it was a pleasure creating their beautiful bohemian bloom concept. 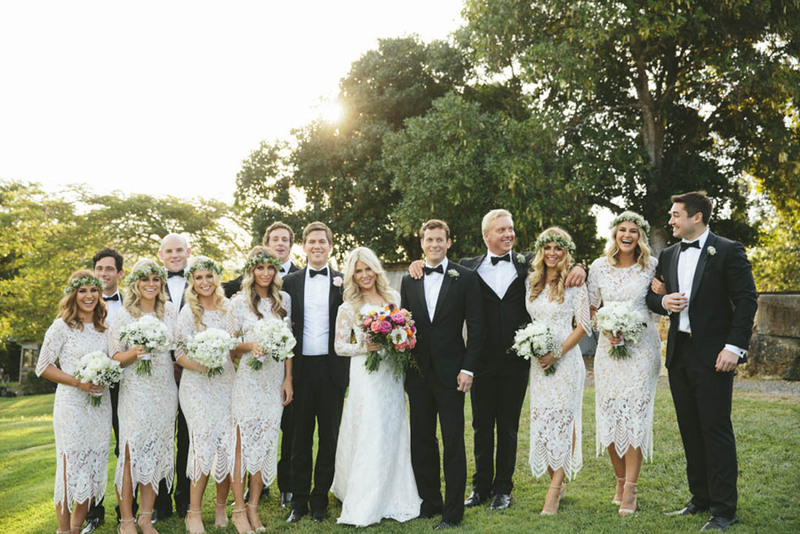 The beautiful bride and her gorgeous gal pals made a gorgeous bridal party, and of course the boys scrubbed up nicely too! 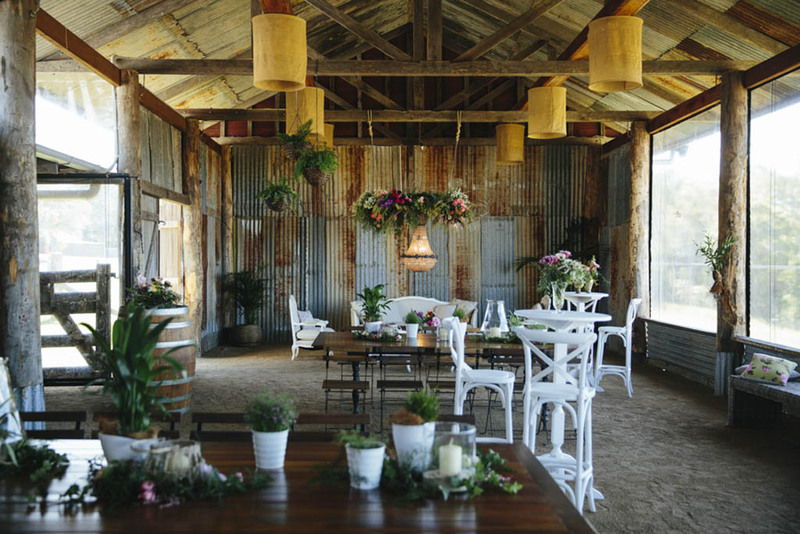 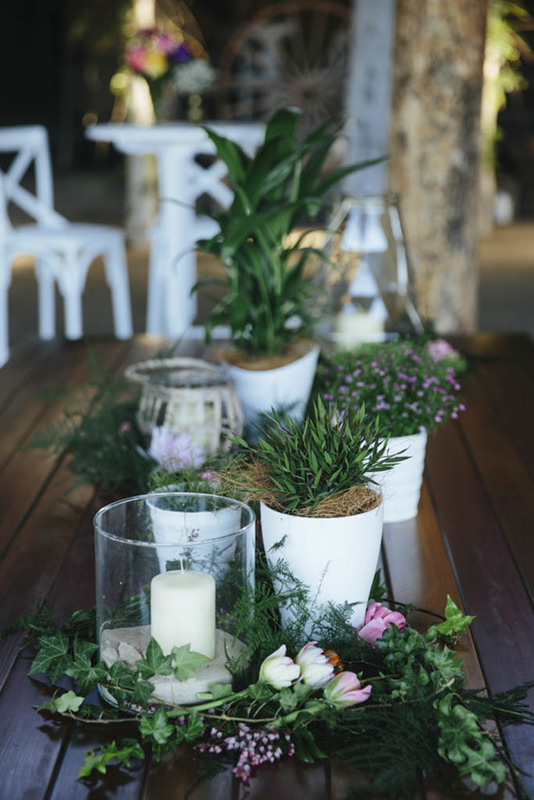 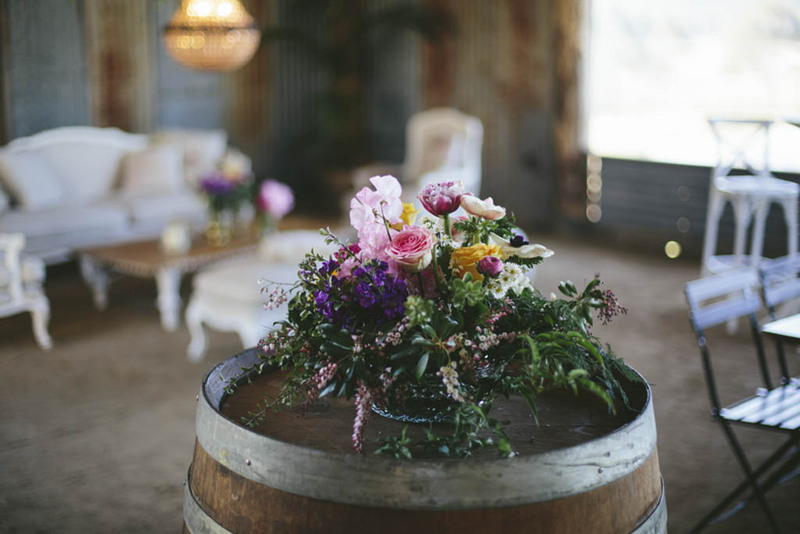 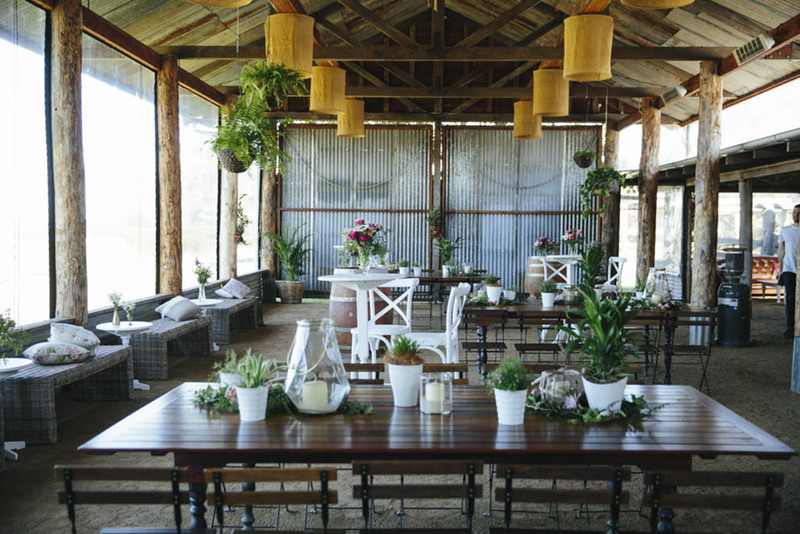 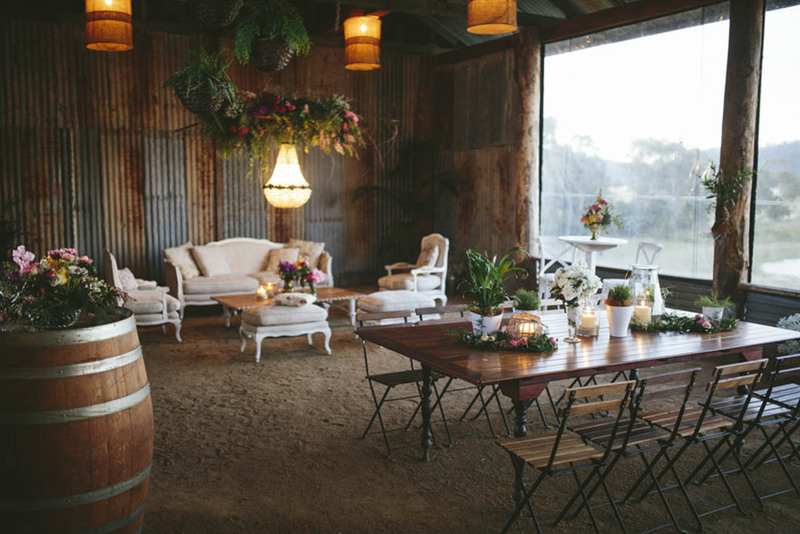 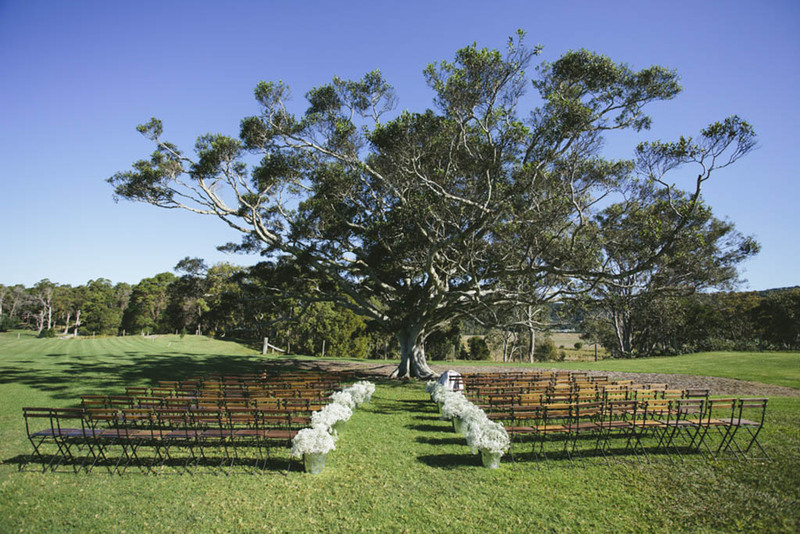 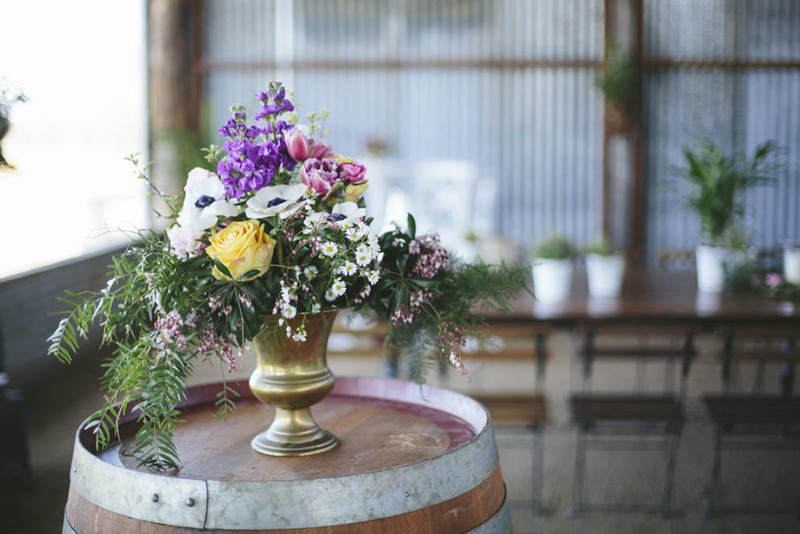 The grand old tree at Yandina Station set the scene for the ceremony celebration, and our rustic silver galvanised buckets lined the aisle, filled with fluffy baby’s breath, it was dramatic yet simple, and all that was needed to style the organically beautiful space. 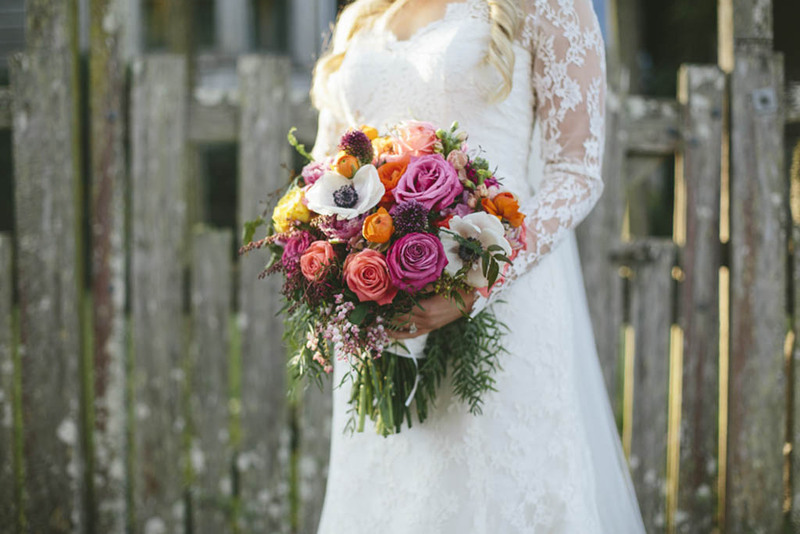 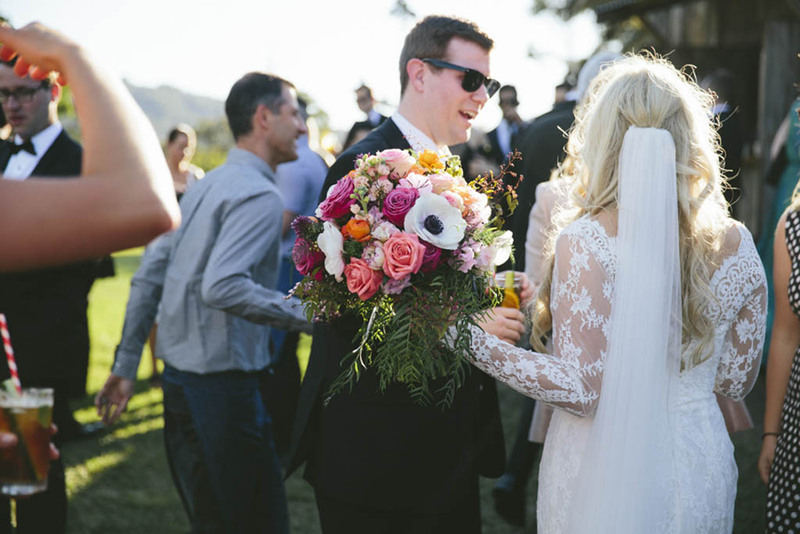 Alana’s bouquet featured a combination of winter blooms, including anemones, ranunculus, double tulips, sweet pea, hyacinth, stock, roses and touches of flowering fillers. 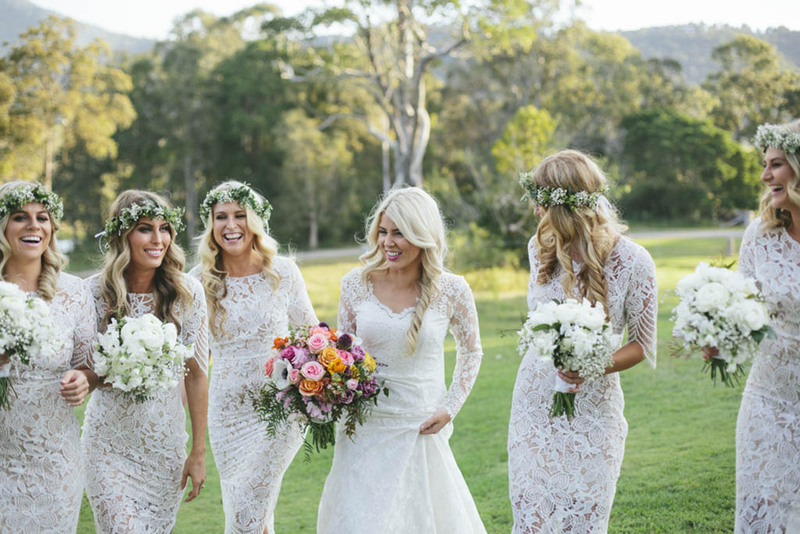 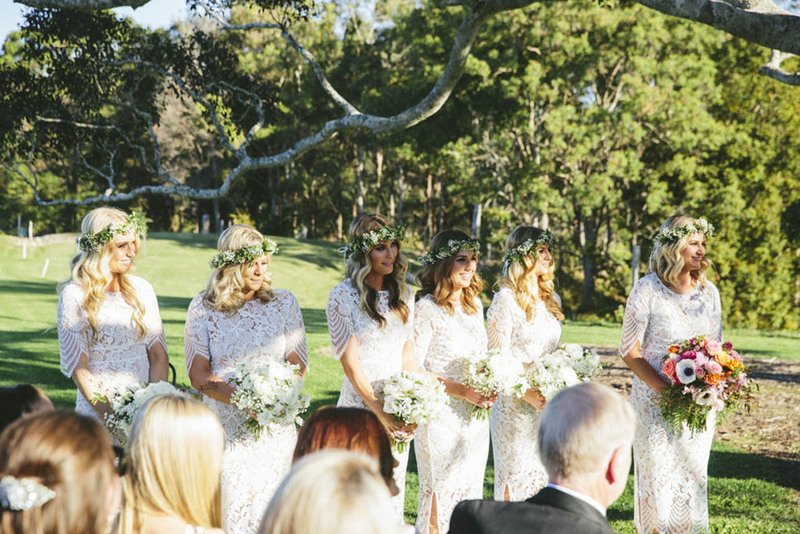 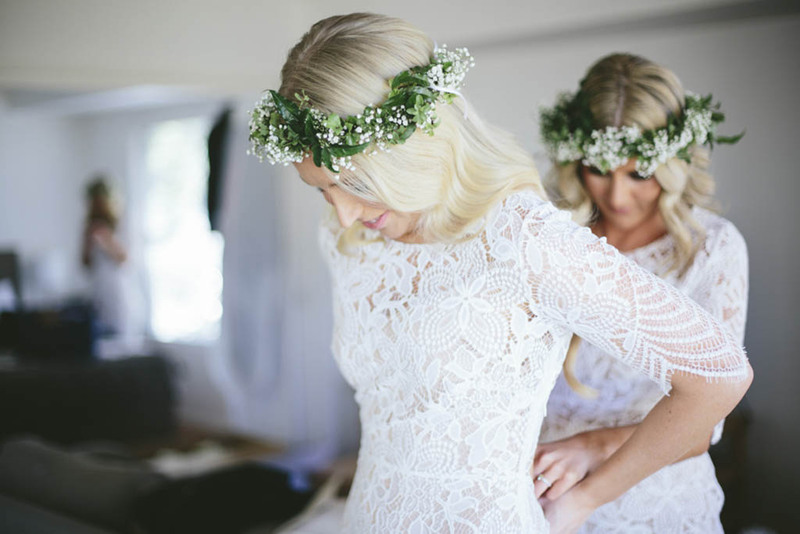 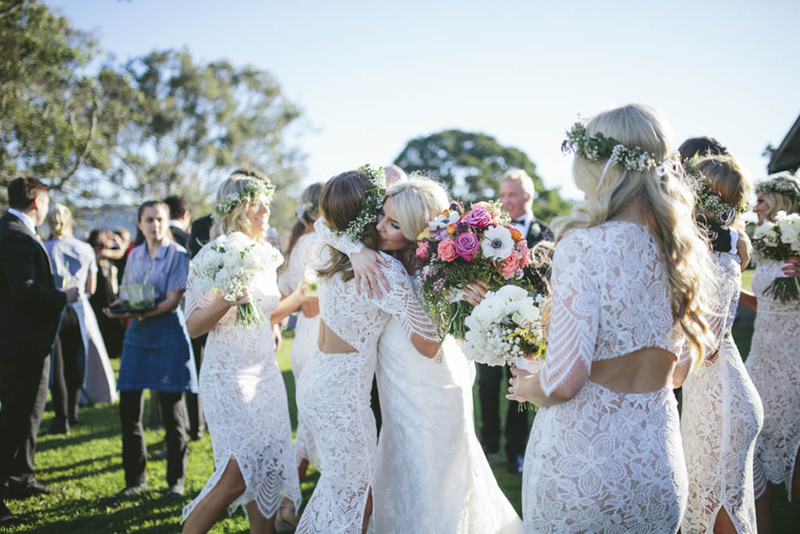 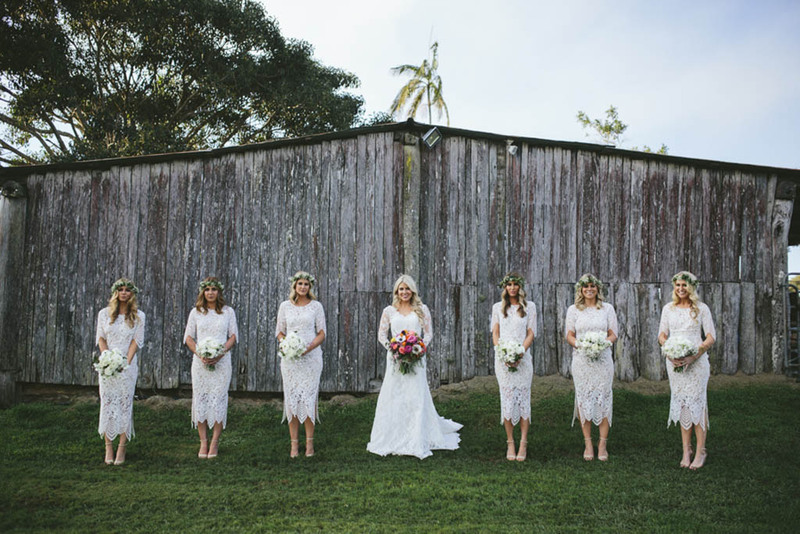 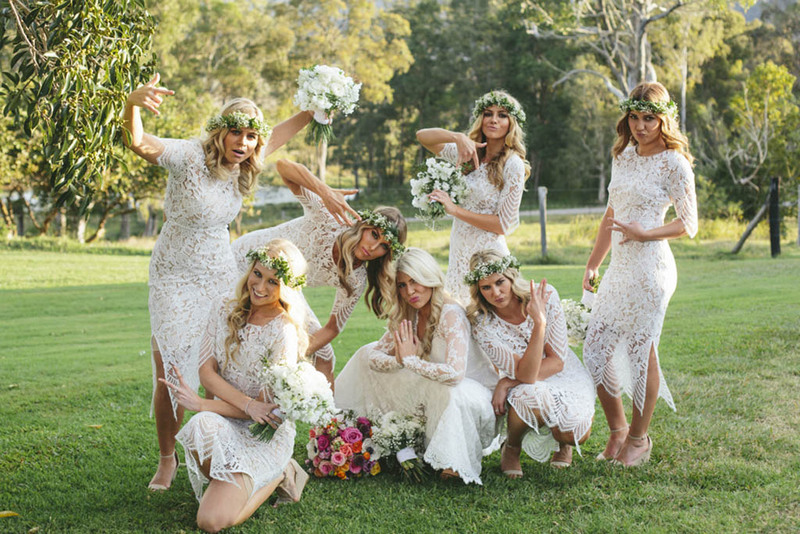 The beautiful bridesmaids all dressed in white, carried petite style posies of ranunculus and sweet pea, and delicate flower crowns of baby’s breath and jasmine. 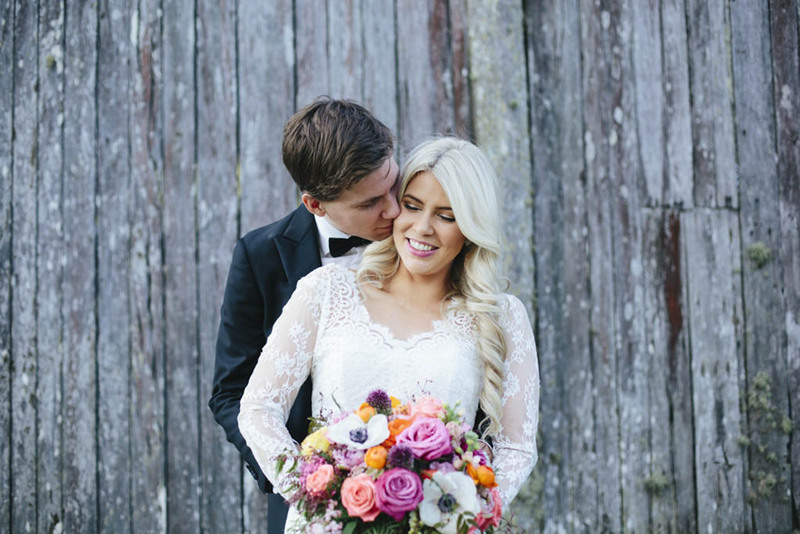 This stunning winter wedding concept, showcased a pretty pastel palette with pops of rich plums, corals and purple tones. 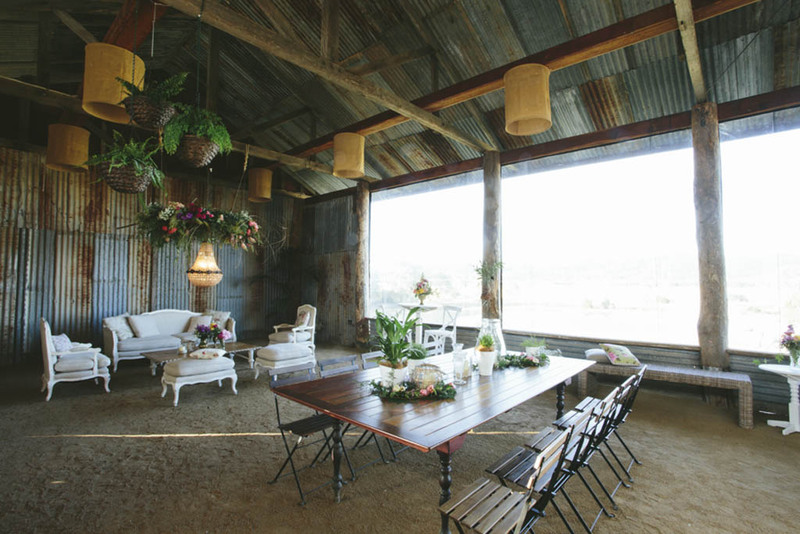 The reception was a cocktail event, which was the perfect styling concept for the large group of guests. 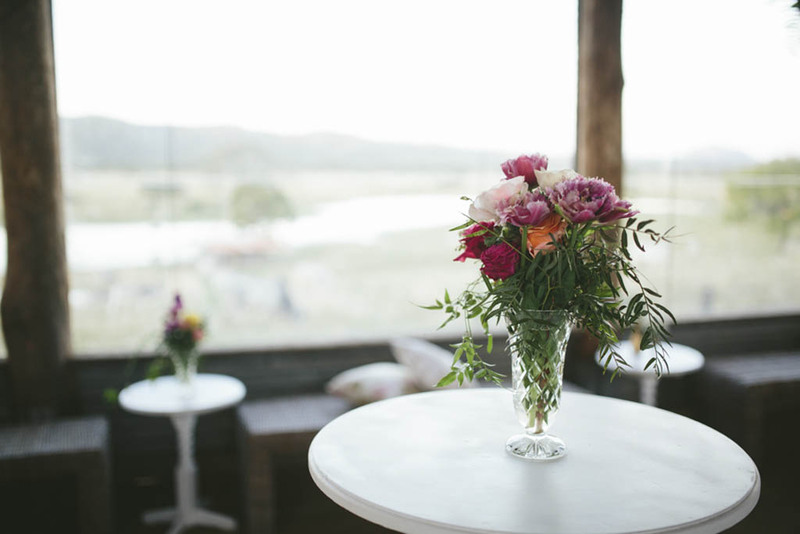 Love Bird Weddings provided additional decor and furniture pieces, which we placed a collection of eclectic crystal and brass vases on, the beautiful bridal bouquets also featured throughout the room. 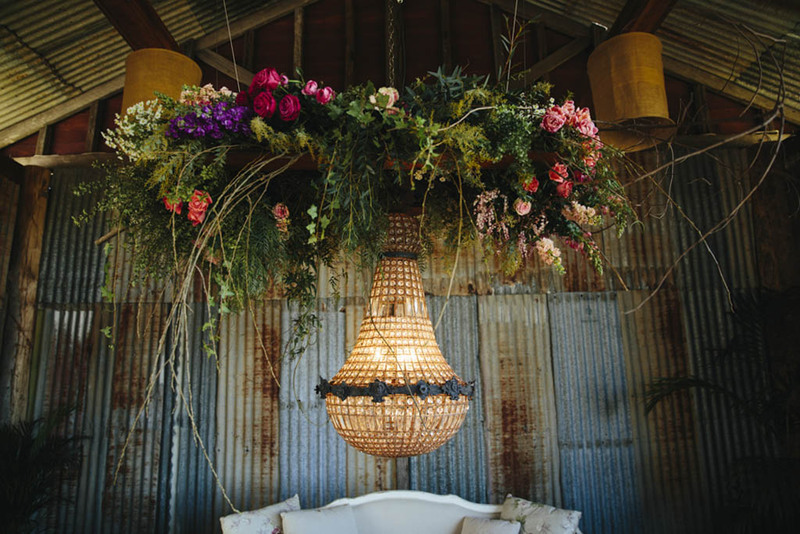 We styled and created the large floral installation that featured at the rear of the dairy and suspended above the beautiful lounge area. 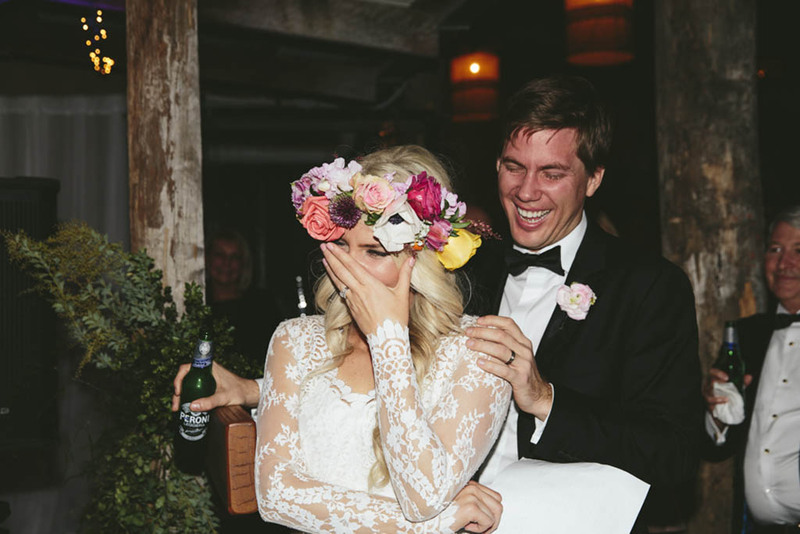 We also created a beautiful flower crown for Alana for the party at reception, and this was worn for when the gorgeous newly weds alongside plenty of family and friends celebrated well into the night. 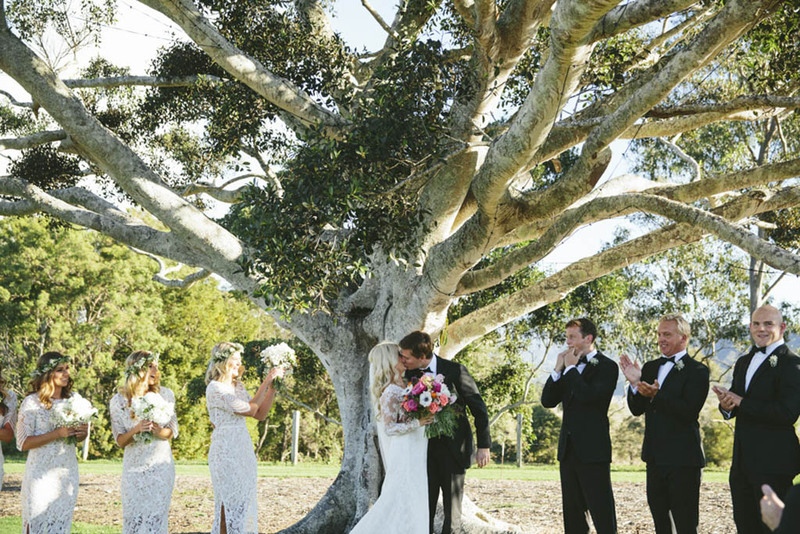 Congratulations Alana and Chris, it was a pleasure being a part of your special day!